Dead Russian Reporters Researched Mercenaries, Mining in CAR - Integration Through Media ....! 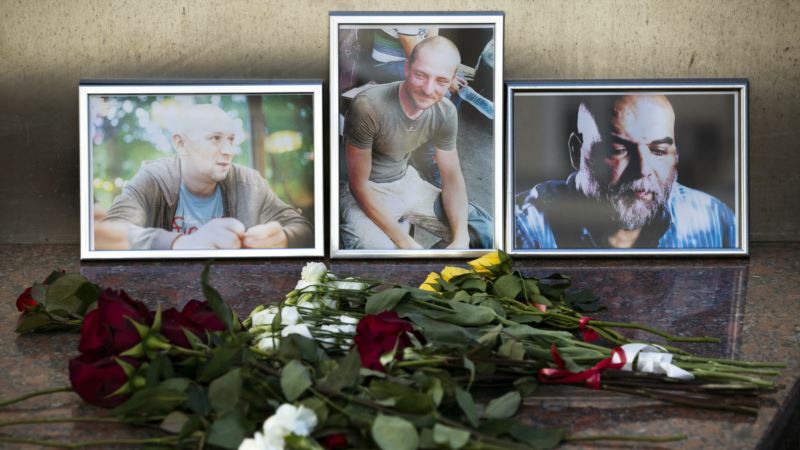 (VOA): Three Russian journalists were investigating Russian military contractors and mining industries in Central African Republic when they were killed there, their editor said Wednesday. He said the men — Kirill Radchenko, Alexander Rastorguyev and Orkhan Dzhemal — arrived in CAR on tourist visas to work undercover and were planning to stay there for two weeks. The trio had been advised not to travel at night, but did so Monday, Konyakhin said. He also said the reporters were about 20 kilometers (12 miles) from their planned route when they were killed. Russian Foreign Ministry spokeswoman Maria Zakharova said CAR is a very dangerous place and the government has advised Russians not to travel there. But Konyakhin was skeptical the slayings were the result of a mere robbery. He said he thinks the attack could be linked to their investigation.